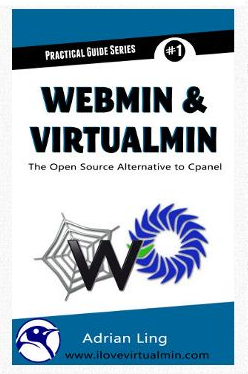 This is a practical Virtualmin book that teaches you how to how to fully automate PHP-FPM and integrate it with Virtualmin! Each Virtual Server you create will have its own dedicated PHP-FPM pool running under its own virtual server ID. 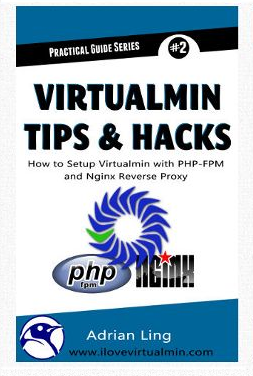 You’ll also discover how to integrate Nginx Reverse-Proxy in Virtualmin and fully automate the creation of nginx virtualhosts configuration files. The Book comes with custom developed scripts that if you were to create yourself or outsourced to a programmer would have easily cost you $20 or more. It’s yours free with this book @ only $3.99 from the Amazon Kindle store. In Chapter 9, you will find the “Access Code” which will give you access to the custom scripts & source code listing mentioned in the book. Enter them into the field below to download. Download the source code and the custom scripts here. This section is reserved for any updates or errata found. Errata #1: There is no chapter 10 in this book. All the script downloads are found on this page by entering the book code in the field above. A file – “ifmodule_modfastcgi.txt” was missing in the download package. It has been included. Sincere apologies for the oversight!